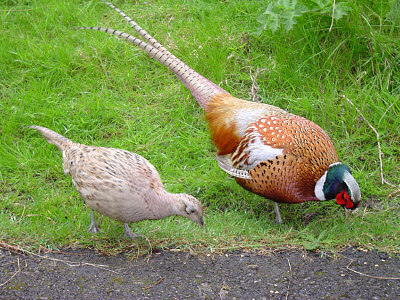 We have some really good walked up pheasant on offer in various area from flat farm land to harvested forest and woodland areas. We can arrange for you to shoot on two of the very best estates in the Angus area - their reputation as world class shooting estates precedes them! It will be a fantastic day of shooting with breathtaking scenery and some breathtaking good birds and some very good dens to shoot in. The keepers, under keepers and helpers from the estates take the time out to make sure the shooting goes without any hitches, so that everyone goes home with an experience to remember. This is a fantastic day out shooting!